What Are The Different Ways To Install Plugins In WordPress? WordPress repository is full of plugins. Most of the users are dependent on these plugins. You can install WordPress plugins within a minute. But what are the different ways to install plugins in your WordPress website? You should always know about the alternatives. Are you the person who knows only about the classic plugin installation using the plugins’ section? Do you know any other method? In this tutorial, you will learn all the possible ways to install plugins in WordPress. #1 Install Plugins From The WordPress Admin Panel. This is the most common method to install any WordPres plugin. As you know, there is a plugin section in the WordPress admin panel. Just go to plugins>>add new and search for the plugin to want to install. I don’t think, this should be explained to anyone of you. #2.Install Any Third party Plugin. What would you do if you won’t find the plugin in the WordPress repository? Well, this is something you should learn. As you all know when you go to plugins>>add new, you would see an option to upload any external plugin. Just click on that “UPLOAD” option and choose the plugin from your local storage. #3. Install Plugin Using cPanel. What would you do if you won’t able to login to your WordPress admin panel? Well, during such situations, you can install a plugin from the cPanel. Login to your cPanel and open the file manager. Search for the wp-content.php file and open it. Open the “plugins” folder and upload the plugin file. You have successfully uploaded a new plugin in your WordPress directory. You can check it after logging in to your WordPress admin panel. #4. Install Plugin using FTP. If you’re aware of FTP then you won’t face any problem. You just have to create a new FTP account and then connect it with a software like Filezilla to open the WordPress directory. Do you know how to connect to Filezilla server with the FTP server? Just like you did in the previous method, you have to find. The above-mentioned are the different ways to install plugins in WordPress. You can use anyone of them. In most of the cases, people like to use the simplest method from the admin panel. But sometimes, you may in need to go with the cPanel or the FTP. From All The Ways To Install Plugins, Which Method Is Your Favorite? No doubt that people like to use the first method. But when you buy any premium plugin then the second method is considered as the most favorable one. But as I have mentioned earlier, if you are locked away from the admin panel then you have to use the cPanel of the FTP. Make sure that you follow the right steps because if you add the plugin file in any other folder then it won’t work. It can even break your website. So be careful and enjoy blogging. How To Add Gallery Post Format In WordPress Theme? I’ve never installed plugins using FTP. And my favorite among the 4 ways indicated here is installing from the WordPress admin panel. Why? It’s the simplest, to me. The cPanel is also simple but the time to take to get in there is cumbersome as compared to the WordPress admin panel. 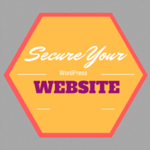 I always say that your blog is a great resource for all WordPress blog owners. You simplify the approach to tackling WordPress issues. Thanks again for sharing, my brother. You should be ready for every situation. It’s always good to have the alternatives. The simplest way is to use your WordPress admin panel. But you know, when you get some problem with your WordPress admin panel then FTP and cPanel are the sources. Generally, people used to install plugins from the WordPress Admin Panel – this is really common and popular process. These all about installation of plugins are genius, mostly i used to install plugin using FTP. Eventually, thanks for sharing your amazing ideology regarding plugin installation and this will really helpful for many other blogger and webmaster. WordPress admin panel is the most friendly place for every blogger. But it’s always recommended to learn new things. Installing plugins from the admin area isn’t for which you should limit yourself. Try to use other ways too. Hello bro, this is a definite guide to install WordPress plugin fast. To all my WP blogs, mostly micro niches, I try as Mich possible to have least number of plugins to endure fast loading. I normally install from WP dashboard – seems the easiest and no.1 on your list though. Thanks and do have a nice day”! WordPress comes with many alternatives for everything. The first method is the most common and the easiest one people use. You can try others some time. I use an avada template for my website. Still now I have only tries the first method. This is the first time i came across all the other methods, Including the second option ” Install any third party plugin”. I haven’t noticed the upload option. The 3rd and 4th option looks a bit complex. I am no good with coding and other technical stuffs. Is there any plugin that i can install from the admin panel which helps in on-page optimization. There is no coding required for a plugin installation. You just have to upload the file of the plugin in the WordPress plugin directory. You can’t rely on any plugin for the on page optimization. Just learn the ways to craft your content for the SEO and everything would be perfect.